Editor’s note: To submit a nonprofit announcement to The Sentinel’s Religion section, contact Erin Thompson at (717) 248-6741 or by email at ethompson@lewistownsentinel.com. Items also may be faxed to (717) 248-3481 or sent to The Sentinel, 352 Sixth St., Lewistown, PA 17044. Items should arrive to The Sentinel by Wednesday afternoon for publication in the Saturday edition. Submissions will be published as space allows. The editor reserves the right to edit all submissions. 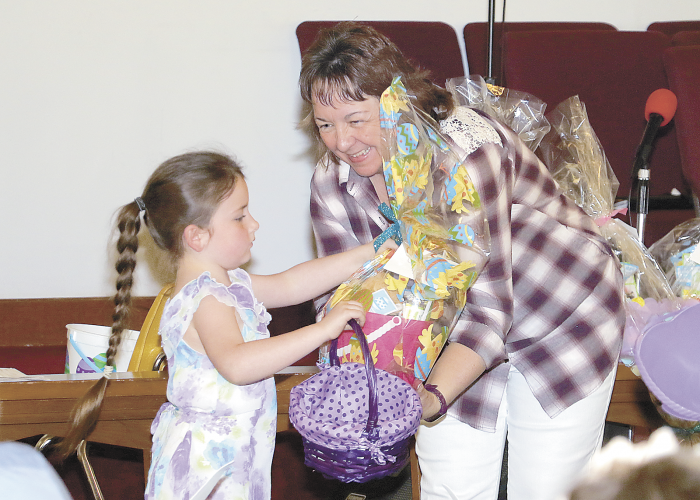 LEWISTOWN — The Lewistown Ministerium will host an ecumenical worship service at 10 a.m. Sunday at Lewistown Middle School, 2 Manor Drive, Lewistown. All area churches and residents are invited to participate. The service will feature a combined adult choir, led by Philip Loewen, and children’s choir, led by Kay Bender. The Rev. Jeremiah J. Park, resident bishop of the Susquehanna Conference of the United Methodist Church, will be the guest speaker. Park is a native of South Korea. Transportation to the unity service is available upon request. Call (717) 248-4618 or (717) 248-5311. McALISTERVILLE — Mended Heart will sing at 6 p.m. Sunday at Stony Run Mission. LEWISTOWN — A winter party will be held at 6 p.m. Sunday at Highland Park Presbyterian Church, on the corner of Sixth Street and Electric Avenue. Everyone is invited for fellowship, refreshments, crafts, games and music. PAINTERSVILLE –Paintersville Christian and Missionary Alliance church is having a Winter Missions Sunday, Jan. 28, with guest missionary Sharon Foley scheduled to speak during Sunday school at 9 a.m. She will also speak at 10:15 a.m. and 7 p.m. services. The church is located at 3195 Back Maitland Road, Lewistown. For more information, call (717) 543-5249. Everyone is welcome. BURNHAM — A hymn sing will be held from 6 to 7 p.m. Jan. 28, at Windy Hill Bible Church, 22 Windmill Hill, Burnham. There will be fellowship and refreshments. LEWISTOWN — A vacation Bible school curriculum preview, hosted by Friendship Bookstore, will be held Feb. 3 in the Family Life Center at Calvary Bible Church, 100 Calvary Lane, Lewistown. The event begins at 9:30 a.m. with coffee, tea and doughnuts. VBS presentations will take place from 9:45 to 11:45 a.m.
REEDSVILLE –Reedsville United Methodist Church will show a screening of “Marriage Retreat,” on Feb. 11 at 60 E. Logan St., Reedsville. The event begins at 6:30 p.m. Refreshments will be served. YEAGERTOWN — A Valentine-themed pancake, sausage and doughnut supper in celebration of Shrove Tuesday will be served from 4:30 to 6:30 p.m., Feb. 13 at Yeagertown United Methodist Church. The “Four Tune Hunters” barbershop quartet will make its appearance during this time. ¯March 31 — Rev. Steve Munger, of Big Valley Brethren in Christ Church. The group meets at 7 a.m. in the Port Royal Community Room building on Fourth Street, Port Royal. LEWISTOWN — The Sentinel invites area religious leaders to submit columns for “Professions of Faith” in the Sentinel’s weekly religion section. Interested individuals may contact Julianne Cahill at jcahill@lewistownsentinel.com or (717) ext. 117. Sermons should be limited to 1,000 words; exceptions may be made at the editor’s discretion.